Wallowa River | Cabins and homes on the river | Wallowa River frontage vacation rentals. | Wallowa Lake Vacation Rental river front homes and cabins. These homes are located at the resort side of Wallowa Lake within easy walking distance to the activities. 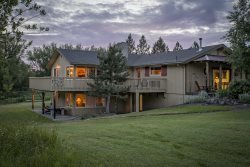 These homes have private Wallowa River Frontage for your enjoyment.